Home / News / What are the most popular payment methods at online sports bookies Australia? What are the most popular payment methods at online sports bookies Australia? 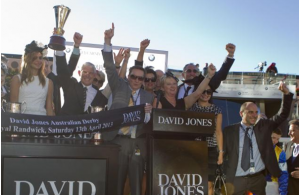 Australian sports bookmakers offer friendly deposit or payment methods to Aussie punters to fund their online bookie account to place a bet for their favourite sport or horse race. Though the process to make a deposit is simple at many of the online bookmakers but few have some of their own terms to make a deposit at their sites. 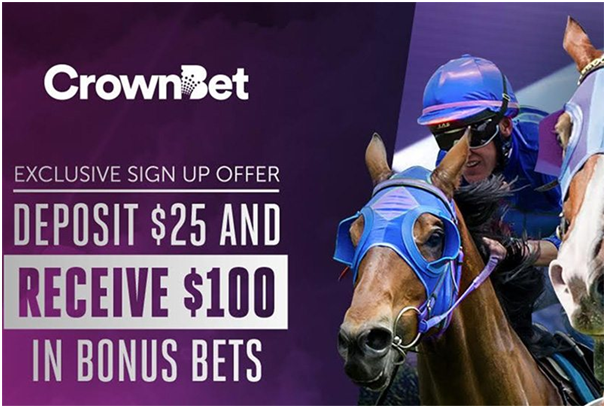 Like online bookies like Crown bet has another add on feature where to you can transfer your deposit funds account to their Crown bet card and use it for making a deposit. This is one of the most popular methods of making a deposit. When using globally recognised brands such as Visa or Mastercard, your deposit is processed instantly, meaning you can start betting straight away. Also online bookmakers do not charge any transaction fees but depending on your bank you may be charged with a small cash advance fee. 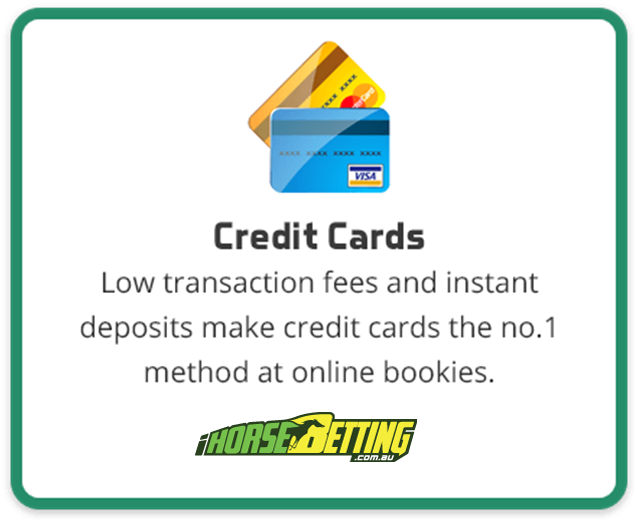 To deposit funds, simply choose the ‘Debit/Credit Card’ option on the bookie site or app you are using. You will then be asked to enter your card number, account name, expiry date and CCV number as well as the amount of cash you wish to fund your account with. Once all your details are entered, all you need to do is click deposit funds and you are able to start betting on the racing or sporting event of your choice instantly. At any online bookie you can make a minimum deposit of AU$10 and maximum deposit of AU$60000. If you wish to make instant bank transfer then this option is best as online bookmakers also offer bank transfer as a suitable method of depositing funds. It is a secure method, with money sent directly from your bank account to your online betting account, however it can take anywhere between two and 10 days to process. Because it takes a while for the cash to appear in your account, this is not as popular as using a credit or a debit card to deposit funds, however it is especially suitable for transferring large sums of money into your betting account, with some of the other deposit options capped at a certain amount. Unlike credit/debit card transactions, bank transfers are completed within the online site of your chosen banking website which does give many punters a greater sense of security. To complete the transfer, you must obtain the account information of your chosen bookmaker from its website and process it like a normal internet banking transaction. Some bookmakers, such as Sportsbet, also enable punters to go directly into a chosen bank such as the National Australia Bank or Commonwealth Bank Australia and make a cash deposit at their local branch. The minimum deposit is $100 and maximum deposit with bank transfer is AUD20000. PayPal is another popular payment method offered at online bookmakers. This is also a safe way to transfer funds online, with users creating an account via the PayPal website. From there your bank account, credit and/or debit card are linked to your PayPal account where they are securely stored. 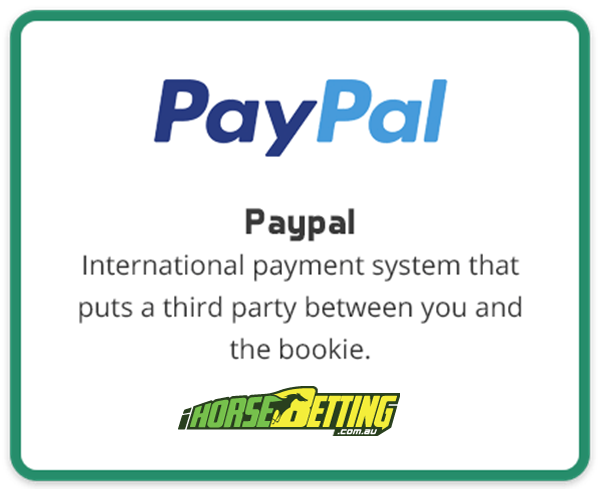 PayPal users can deposit funds by selecting this option at online bookie, with the bookie requiring your PayPal email and your betting account password, with deposits processed immediately when you hit send. Because it is linked to your bank account, your PayPal account does not need to have a monetary balance, while security issues are non-existent as PayPal does not share your financial details with bookmakers, whilst it also provides industry-leading fraud protection. The minimum deposit is $20 and maximum deposit you can make is $12500. 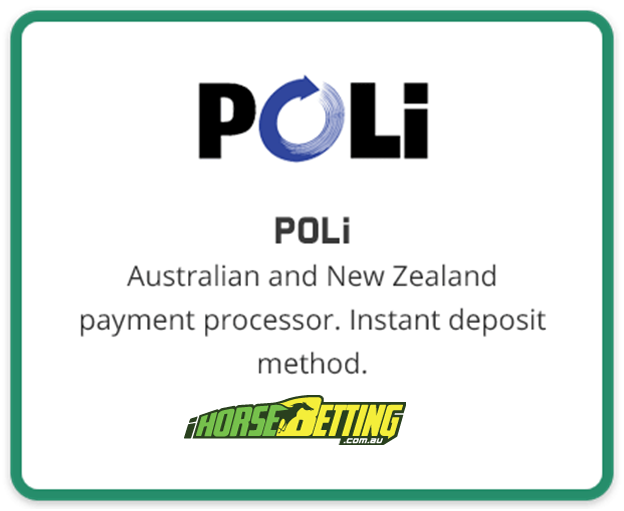 POLi works as instant bank transfer and it is available to online punters in Australia and New Zealand. Short for Pay OnLine, it is a real time debit system which is able to deposit funds into your online betting account within minutes. This payment method is safe and secure to use, with transfers being done at online bookmaker. Simply visit deposits page, select your banking institution, enter the deposit amount and your password before confirming the payment. POLi, it is also free with no credit card surcharges or booking fees. You can process POLi payments from your PC, mobile and tablet. The banks that support POLi in Australia are: ANZ, Commonwealth Bank, Westpac, NAB, BankSA, BankWest, Bank of Queensland, Bendigo Bank, CUA, People’s Choice Credit Union, St George Ban, Suncorp Banl, Newcastle Permanent, Bank of Melbourne, IMB, ING Direct, Citibank and Me Bank. Minimum deposit with POLi is AU$5 and maximum is $20000. E Wallets are perfect option for punters who wish to deposit money into their online betting account without sharing any of their personal details with the bookmakers themselves. 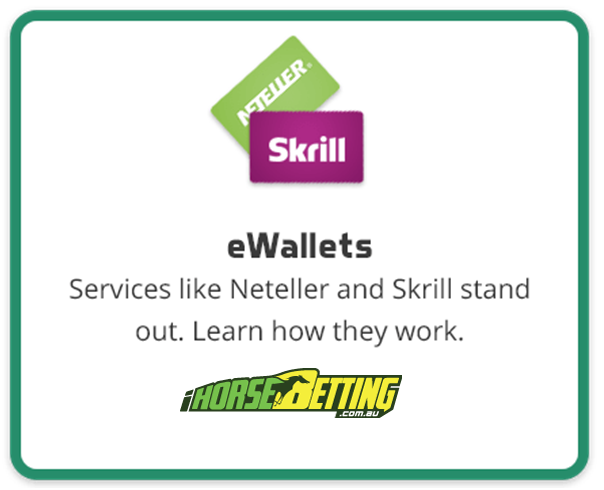 To use this method, all you need to do is create an account with one of the e-Wallet websites like Neteller or Skrill supported by your chosen bookmaker which you then transfer funds into from your bank account usually from your credit or debit card. 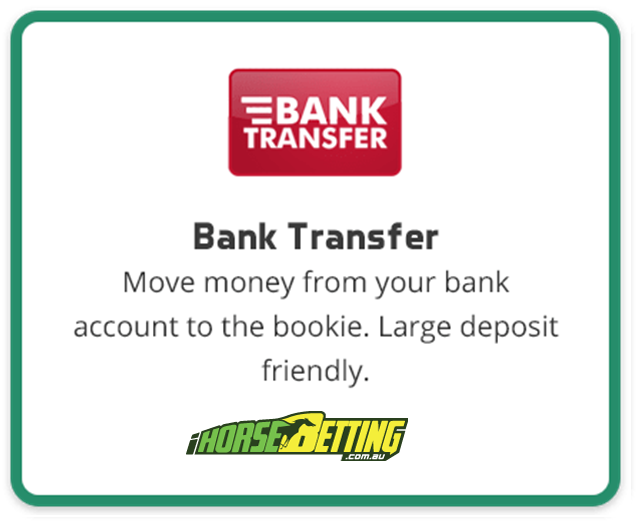 Once the cash is in your e-Wallet, you can then transfer it across to your betting account. The minimum deposit you can deposit with eWallet is AU$10 and maximum deposit is $50000. This is an electronic money system which enables punters to exchange their money for a secure and unique 19-digit code which can then be used online to instantly deposit funds into your bookmaker account. 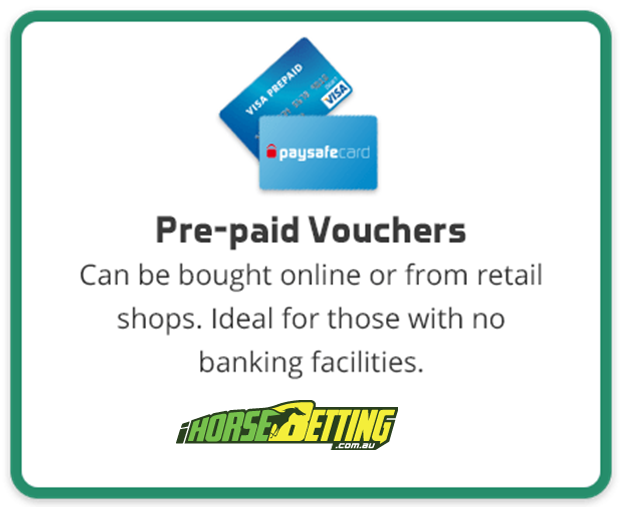 PaySafeCard vouchers can either be purchased online or from a participating retail outlet near you. The minimum deposit you can make with PaySafeCard is AU$10 and maximum deposit you can make is $200. Besides these you can also make a deposit for betting on horse races at online bookies with BPAY, Apple Pay, and Cheque. In any case of doubt you can clarify at the online bookie site help section either by a live chat, phone call or email before you make a deposit. Also read the terms and conditions of each payment method as well as of the online bookie before you jump to place your real bets for horse betting.